With Fallout 4 entering into the final stretch of development, Bethesda has detailed the perks and details of what players can expect post-release. According to a blog post on Bethesda.net, Fallout 4 will be getting regular free updates that "come with not just fixes, but new features." "For Skyrim we added things like mounted combat, legendary mode, kill cams, visual enhancements and more. We'll work with all of you to figure out what new things you'd love to see added to Fallout 4, whether they are small tweaks or new features." And then there is the matter of future Downloadable Content. While the details on what paid DLC will become available are not yet known, fans can purchase a $30 season pass that will "get you all of the Fallout 4 DLC we ever do." It's expected to become available early next year. "Based on what we did for Oblivion, Fallout 3, and Skyrim, we know that it will be worth at least $40, and if we do more, you'll get it all with the Season Pass," the post reads. The post also stated that "the most important thing" is the freedom to create a unique gaming experience. 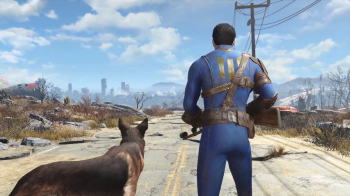 Fallout 4 will be open and moddable "at every step in development." Early next year, Bethesda will release the Creation Kit for PC for free, which is said to be the same tool used in-studio. "You'll be able to create your own mods and share them with others. We're especially excited these same mods will then be coming to Xbox One, and then PlayStation 4." Fallout 4 releases on PC, PS4 and Xbox One on November 10.